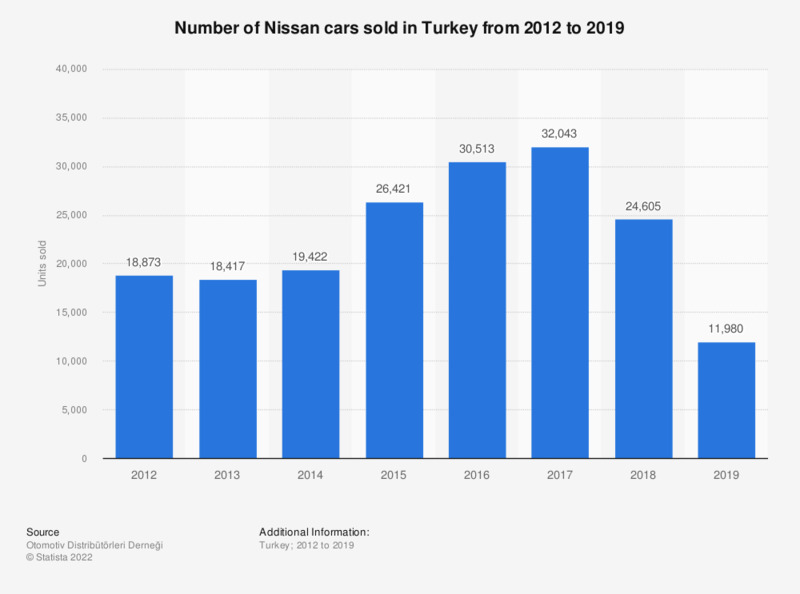 This statistic shows the number of cars sold by Nissan in Turkey between 2012 and 2018. Turkish sales of Nissan cars increased from 18.9 thousand units sold in 2012 to over 32 thousand units sold in 2017. In 2018, there were 24.6 thousand units of Nissan cars sold in Turkey.